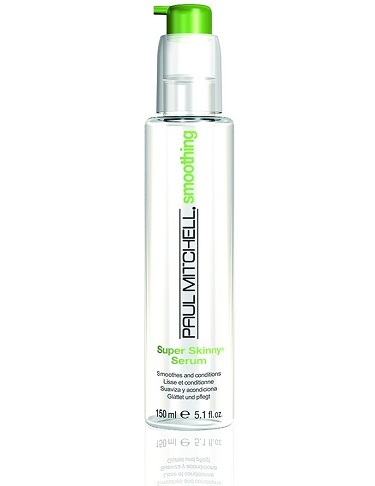 This Paul Mitchell Super Skinny Serum smoothes, conditions and seals strands and leaves hair smooth, shiny and frizz-free in any weather. Its exclusive Super Skinny® Complex penetrates deep into hair to displace water and constrict hair for speedy drying and styling. The Lightweight silicones it contains smoothes, conditions and seals hair with added shine.